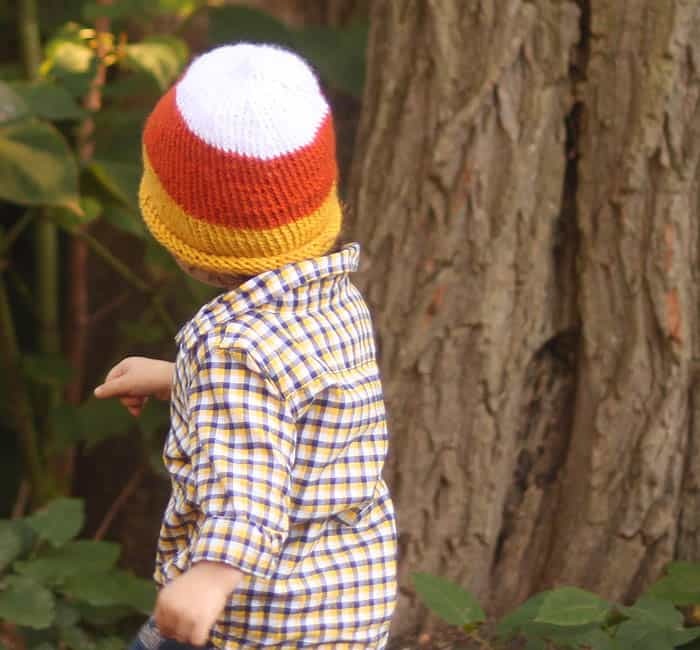 With the yellow yarn and circular needles, cast on 64 sts. Work in Garter Stitch for 3 inches. Switch to the orange yarn at the start of the row and knit another 3 inches. Decrease rows: Switch to white yarn. Knit 6 sts, Knit 2 together repeat to the end of the round. 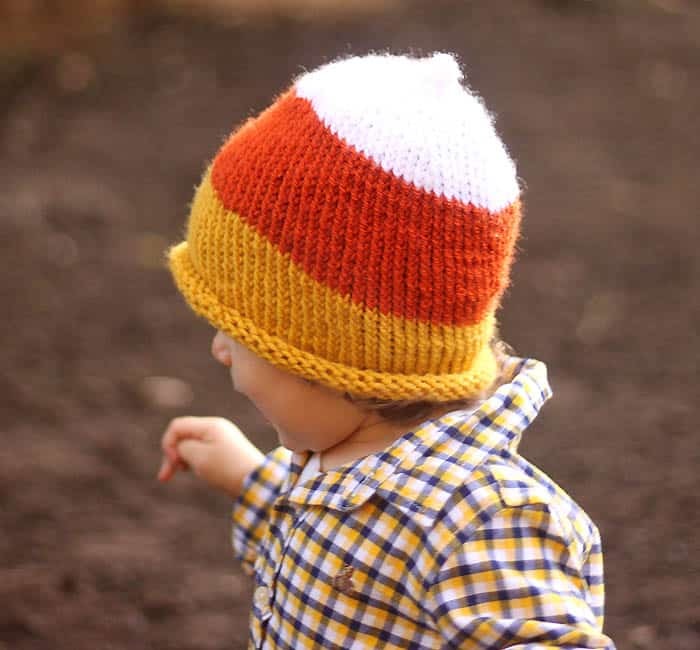 [Hat has a point at top to mimic a candy corn] Knit in the round until the point measures 1 1 1/2 inches. Cut yarn, thread through remaining stitches and pull to close. Make a knot and weave in ends. 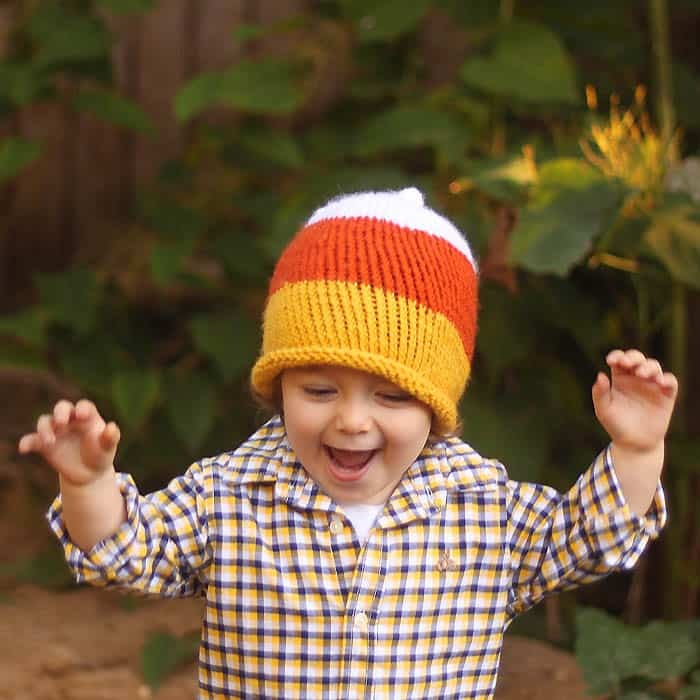 Just found your Candy Corn Hat knitting pattern via AllFreeKnitting.com. 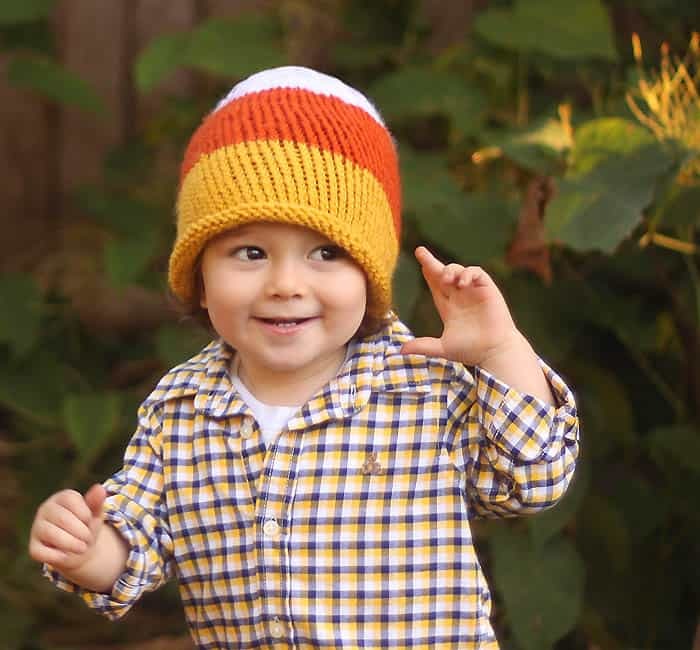 Such a cute, happy and photogenic child to model your wonderful knit hat pattern! 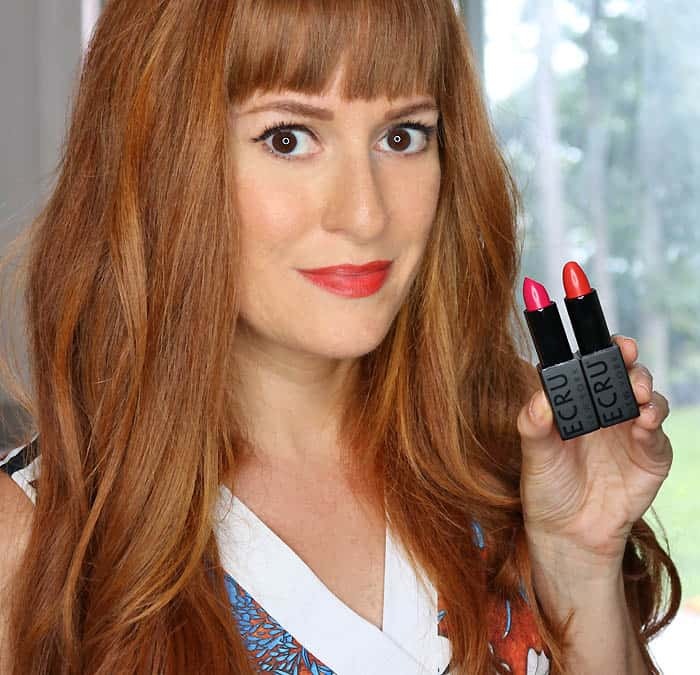 Thanks so much for sharing with us all.